A new report reveals President Donald Trump is mulling plans to go to war against Amazon CEO and Washington Post owner Jeff Bezos. Advisers are also encouraging Trump to cancel Amazon’s multi-billion contract with the Pentagon to provide cloud computing services, sources say. Another line of attack would be to encourage attorneys general in red states to open investigations into Amazon’s business practices. According to Vanity Fair’s Gabriel Sherman, Chief White House Economist Larry Kudlow agrees with Trump that Amazon is a problem. “Unlike Gary Cohn, Larry Kudlow agrees with Trump that Amazon is a “problem,” a source briefed on their conversations tells me,” tweeted Sherman Tuesday. In the past week, President Trump has taken aim at Bezos on Twitter. 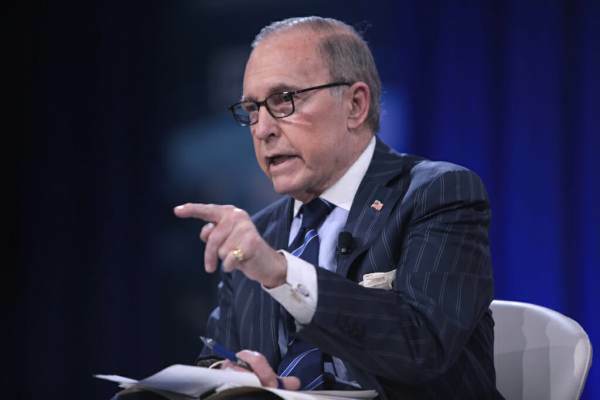 The post REPORT: Chief White House Economist Larry Kudlow Backs POTUS Trump’s War On ‘Problem’ Amazon appeared first on The Gateway Pundit.